RUSH: Have you heard, folks? 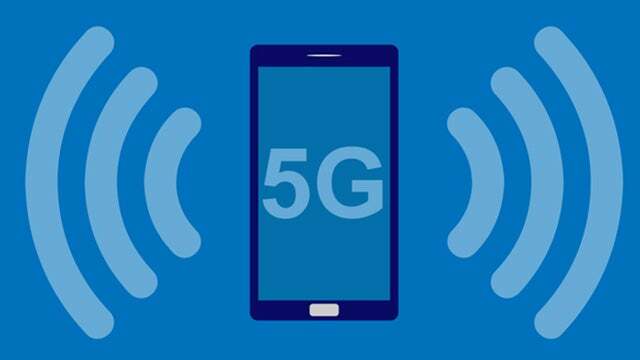 Have you heard the story, have you seen any allusions to the fact that the next phase of high-tech cellular communication is gonna be 5G? Right now, what we have is 4G LTE and depending on your carrier, the speeds can be — and depending on traffic — 25 megabits per second. That’s pretty good download speed. In some cases, that’s faster than cheap Wi-Fi systems. Well, 5G is gonna be in the neighborhood of minimum a hundred bits per second or maybe even a thousand. It could be gigabit. It’s state-of-the-art. It probably will not roll out until 2020. However, the modem was just tested by Intel, and the whole… They tested the ability to communicate on this network and it succeeded. So Intel has built a modem which contains the 5G technology, and it’s thought that this year’s cell phones from Apple and Samsung will include the chip, even though the service is not gonna be ready yet because the service will roll out in 2020. The phones are going to be “future-proofed.” The worst thing could be for a brand-new, state-of-the-art, high-priced phone to be out and not be capable of 5G when they turn it on. So there was a story over the weekend that said the Trump administration wants to nationalize the network. They want to own it. Not the usual consortium of AT&T, Verizon, T-Mobile, Sprint, you name it. They want to own the whole thing (so the story goes) and the reason they want to own the whole thing is because of cyber threats from the ChiComs. The administration is of the belief that the government owning it would be a much more efficient way of protecting the network from cyber espionage via the ChiComs and maybe even the Norks, who are good at it. The Norks have been the people that hacked Sony. (interruption) Well, of course. You know what I find fascinating about this? The people who loved the government taking over care health care are dead set against the government taking over this! I am… I’m kind of surprised by it. I thought my tech bloggers would love it because they hate cable companies — and actually, some of them do. Some of them do like it. But the reason that they don’t is because it’s the Trump administration. If Obama were president or Hillary and proposing this, they would sign on to it immediately. But because it’s Trump, some of them are guarded about it. But I am seeing arguments about why it would be bad for the government to totally own the 5G cellular network that I never saw when Obama and the government proposed taking over the health care industry. Everybody on the left just had no problem with that at all. That was cool, that was great, that was gonna mean excellent things for our health insurance and our health treatment and our health care. Now I’m seeing people, “Noooo, this would not be a good idea. “It would stifle communication, it would raise prices, and the government doesn’t do things very well in this regard anyway.” It’s just kind of stunning to me. (interruption) I was right. Law & Crime is Dan Abrams. Thank you there for the backup on that. It hit me immediately that there were immediate objections to this and there were none to the government taking over health care, and arguably the government probably knows more about this than they do health care. Certainly than Obama ever knew about health care. I don’t think it’s ever gonna happen, don’t misunderstand. I don’t think that it will. I mean, ’cause if they nationalize 5G, why don’t they nationalize everything? And that just isn’t gonna happen. Speaking of that, any of you worried, any of you Trumpsters that saw this story were you saying, “Wait a minute. Nationalize the telecommunications…? Hell.” You were perplexed by that? It didn’t seem to jibe with what you thought of as Trump, right? Well, it should, because populism would say, “Trump should own it! Big Business are a bunch of cheating SOBs.” Populism doesn’t like Big Business. “Big Business did NAFTA! Big Business sends jobs overseas. It takes Trump to come in and tame ’em.” So if you hate Verizon, if you hate AT&T, then you ought to really like this, supposedly, if you’re a populist. I don’t… I think this is gonna be a good test case. I think this is gonna be a classic illustration of why government ownership of anything is bad, because people really care about this. I mean, they care about their health care, too, but, you know, for Millennials, for Millennials, the internet is their air and water. I’m not exaggerating at all to make a point or otherwise. The internet, their hand-held devices, their mobile device, that’s air and water to them. And having the government totally take it over… pfft! It’s like I saw, I was reading Michael Goodwin, who had a piece in the New York Post yesterday about the Trump economic policy, the tax cuts, how beneficial they are. And he made the observation, which we’ve dealt with here, we’ve turned it over, that one of the great potential hidden benefits is that young Millennials who now swear by 76% that they love communism and socialism are finally going to see capitalism in all its glory. More take-home pay, a really rapidly growing, functioning economy, and he theorized that this could be really effective in converting a bunch of Millennials into capitalists from socialism, communism, or what have you. And I wonder. And the reason is because there were people that lived through the 1980s, and that was a huge economic boom. And by the time Bill Clinton came around in 1992, they had been convinced that the eighties were a sham and that we had the worst economy in the last 50 years, even though they had lived through it! To this day, I remain disappointed and perplexed that those eight years didn’t have a permanent educational impact on people to demonstrate how cutting taxes, letting people keep more of their own money grows the economy, grows employment, grows wages, grows the standard of living. It happened. And yet people were able to be convinced otherwise by a never-stop onslaught media revising history. The last thing in the world the Democrats want is for people to think that this economic recovery is great. It’s so good they can’t deny it. They’re trying to find ways to credit Obama for it. It’s a fool’s errand to try to talk people out of it, but Nancy Pelosi and her crowd are.